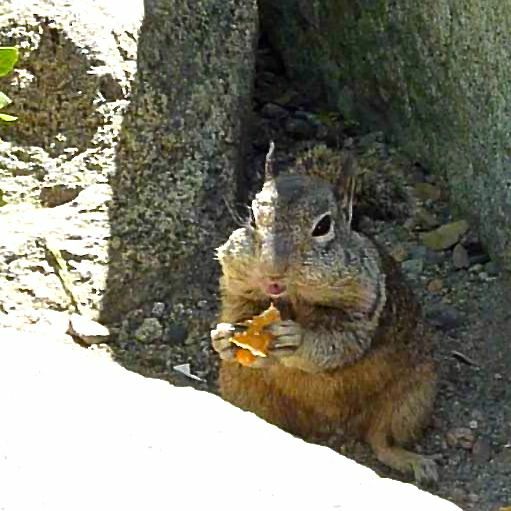 UncleGeorge: Pretzel-thief Yosemite Squirrel is famous [sort-of]. Pretzel-thief Yosemite Squirrel is famous [sort-of]. Remember that chubby-cheeked pretzel-thieving squirrel from Yosemite? 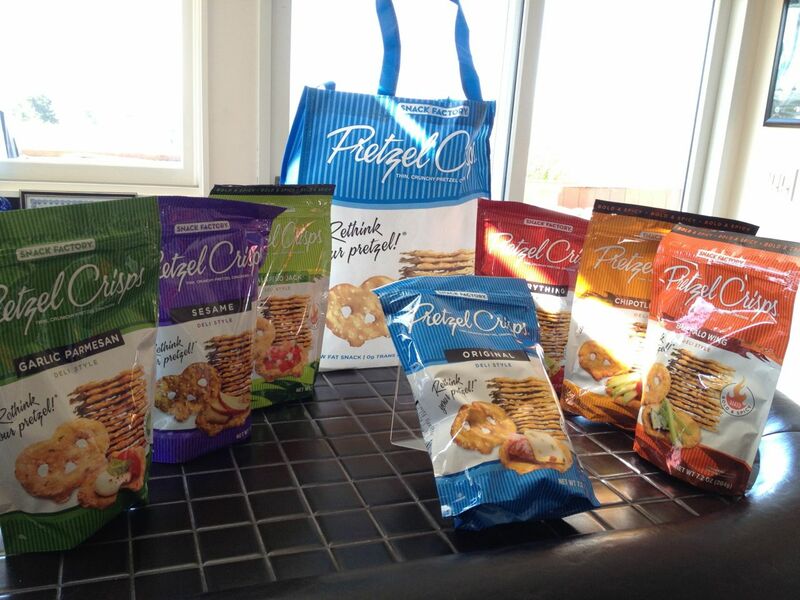 The folks at Pretzel Crisps really liked his video. Monday it was featured on the Pretzel Crisps Facebook page. Yesterday a FedEx truck made an unexpected stop at our house to deliver a big gift bag full of goodies. Thanks to Heather Connolly and Stephanie Wright for the delightful surprise! If you visit San Diego anytime soon, there will be delicious lo-cal pretzel treats waiting on our bar. Sorry, squirrels, you're not invited!